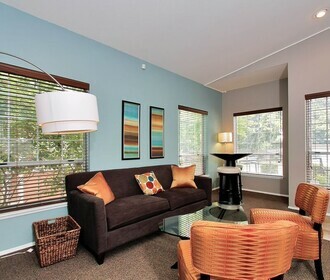 Experience the perfect combination of quiet residential living and convenient downtown location at Providence Landing Apartments in Federal Way, WA. Tucked away just off South 312th St Providence Landing Apartments is quiet community surrounded by beautiful evergreen trees. Within walking distance is Steel Lake Park where you can escape to relax, swim, play and have fun. 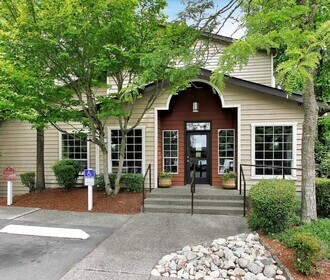 Commuters will appreciate being located within a 2 minutes distance from popular highway Interstate – 5. 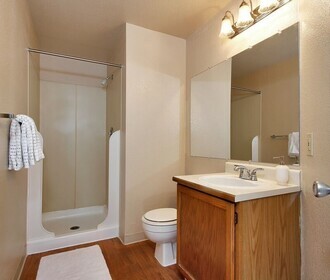 The quiet yet central location places you a few short minutes from downtown Federal Way. The nearby Gateway Center and Commons Mall offers popular eateries eclectic shopping, entertainment and more! Providence Landing offers 2 and 3 bedroom floorplans that are unique, spacious, and offer all of the desired amenities. At the heart of your home is a large kitchen with all white matching appliances, hard surface flooring and breakfast bar. This large open floor plan is specially designed for today's more modern lifestyle. Each home features warm designer colors, two baths, full size in-unit washers and dryers, cozy wood burning fireplaces, and vaulted ceilings in select homes. Community amenities include covered parking, rentable garages and on-site management and maintenance staff. Providence Landing Apartments is also a pet friendly community, please refer to our pet policy to ensure that your furry companion meets our guidelines! Don’t miss out on these spectacular homes! Apply online today through the online leasing program to call to schedule a tour of your new home!